Florence has once again become a major hurricane and may intensify further. Wind speeds are currently more than 130 mph which makes it a solid category four hurricane. Impacts from this storm include destructive winds, high storm surge, and rainfall rates similar to that of Hurricane Harvey. The latest WeatherOps forecast track has Florence making landfall on Thursday evening along the South Carolina to North Carolina coastline. 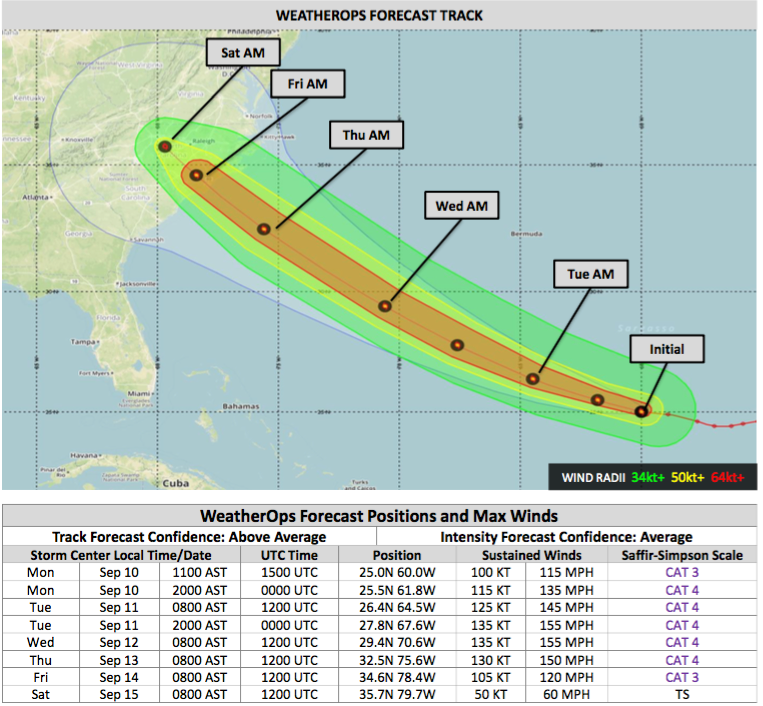 However, the Cone of Uncertainty shows that those from Savannah to the north of Norfolk need to be prepared. 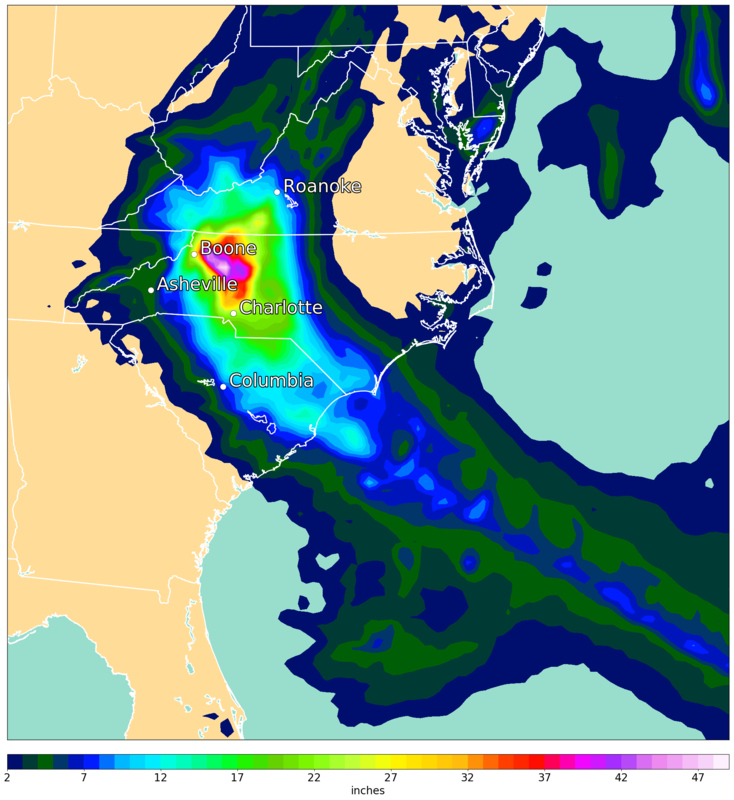 The image below shows the expected path of Hurricane Florence, as seen by the WDT WRF model. Here you can see this powerful storm stalling in the vicinity of the Outer Banks. A situation like this would mean a long period of hurricane force winds along this area, and massive amounts of rain as the hurricane feeds off the moisture of the Atlantic. Forecast models are currently showing very different solutions for rainfall totals. If the hurricane comes straight into the Carolinas, rain will have totals of upwards of 48 inches by the time the event is over. If Florence stalls on the coast, as seen above, the precipitation maximum will be further east. In either case, flooding could be disastrous. We will continue to monitor and updates these images. For those living in the affected area, now is the time to start preparing. Make sure to pay attention to your local emergency management and evacuate if needed. If you are worried about your business, let us know, and we can provide you with the accurate information you need.